Indian shares erased most of the losses on Friday after panic selling in housing finance and property stocks saw key stock indexes plunge over 3 percent in intraday trade. 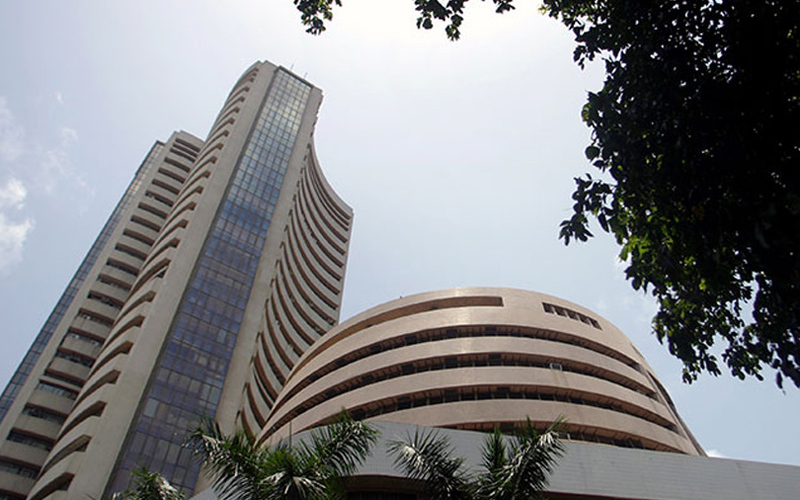 The broader Nifty closed 0.81 percent lower at 11,143.10, while the benchmark Sensex fell 0.75 percent to 36,841.60. The Nifty posted a weekly fall of 3.2 percent, while the Sensex marked a 3.3 percent drop. Both indexes posted their biggest weekly fall since Aug. 11, 2017. Among the worst hit stock was Dewan Housing Finance Corp Ltd (DHFL), erasing $1.12 billion from its market capitalisation. The stock dropped as much as 55 percent to its lowest since Jan. 23, 2017, before closing 42.6 percent lower. Private-sector lender Yes Bank Ltd remained under pressure, plunging as much as 31.7 percent after the central bank reduced CEO Rana Kapoor's term, creating uncertainty about its outlook. The stock closed 29 percent lower.